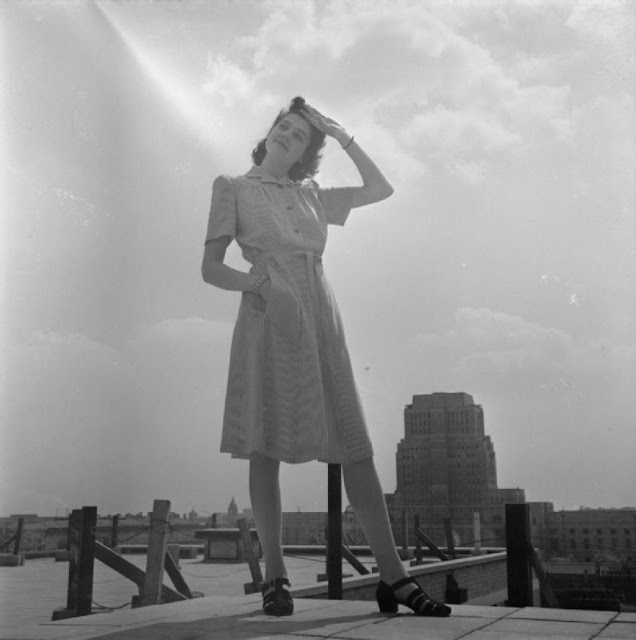 Fashion went through a drastic change during WWII. Not only were styles affected by the war, but both men and women had to shop carefully and chose items to last through all seasons. Even with the limited resources and frugal spending, fashion didn't go out the window. It was still just as important, if not more so, than ever before. Materials for clothing was limited, which lead to fabric being rationed. Nylon and wool was needed by the military and were rationed, as well as Japanese silk being banned in the US after the attack on Pearl Harbor. Clothing was rationed throughout the war and continued to be until 1949. It was important to mend and make do with what you had during this time. Wearing shabby and worn out clothing became more and more common as the war progressed and throughout the entirety of the rationing. 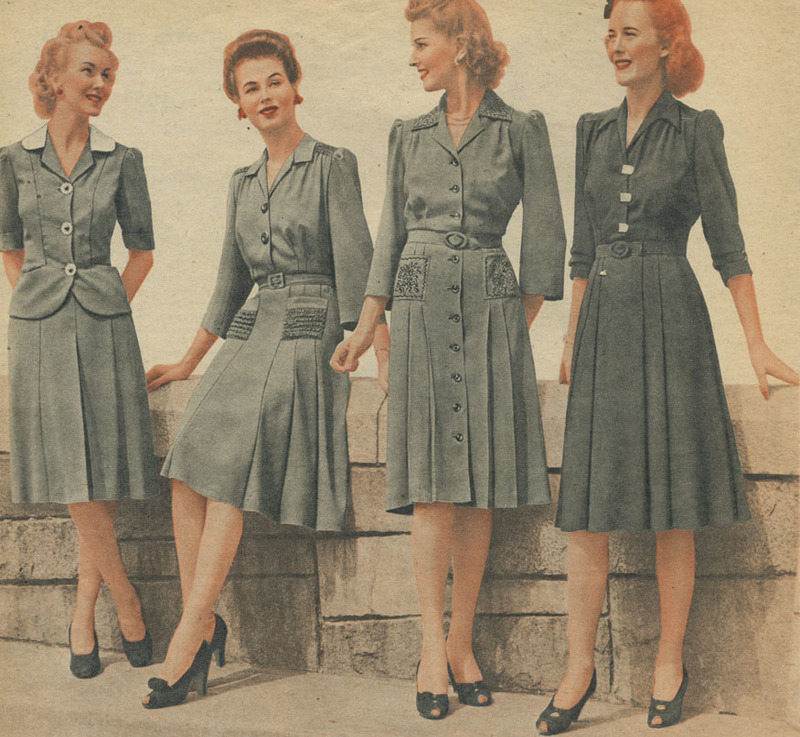 The rationing of fabrics lead to skirts becoming shorter and clothing becoming more simple than before. In the 1930's skirts were still down to the ankle and mid calf, but now came to just below the knee. 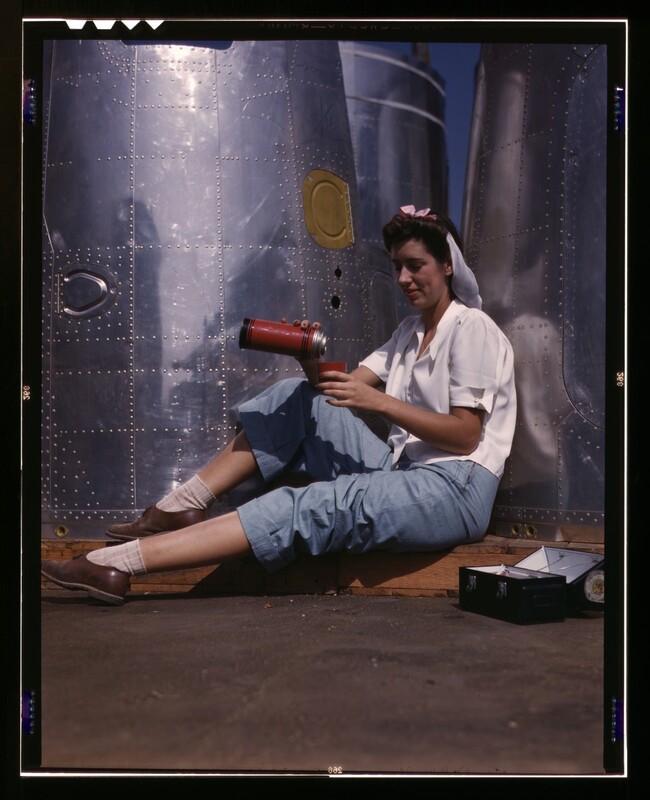 Styles also changed as women were starting to work in an industrial environment and needed more practical clothing for their work. Accidents in the work place were caused by hair getting caught in machinery, which brought about two new fashions. One being shorter hairstyles. Although short bobbed hair had become common during the 20's and 30's a lot of women still had long hair. An alternative to cutting it was to wear a headscarf or "glamour band" to keep the hair secure and out of the way while still bringing color into otherwise dull outfits (i.e. factory overalls). Men's fashion was also affected. 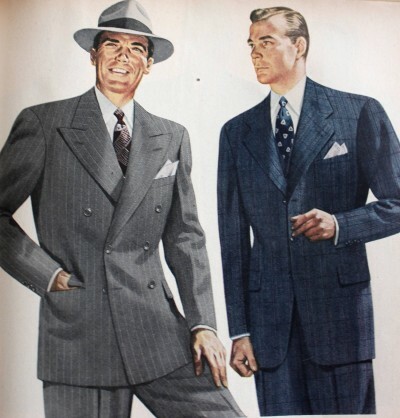 There were new regulations on men's clothing, such as changing double breasted suits to single breasted, lapels had to be within a certain size, the number of pockets was restricted and all trouser turn-ups were removed. A lot of these restrictions weren't popular, particularly the restriction of the turn-ups, and a lot of men would purchase a pair that was too big and alter it themselves at home. As you can see, war had an effect not only in what people wore, but also how they wore it. 1940's fashion is looked on today as a simple and comfortable yet still a classy and chic style, and it's not hard to see why.